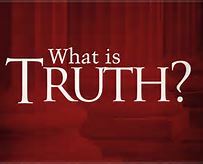 Recently I heard a clear-thinking talk show host provide a method of discovering the truth about a topic. Of course, none of us can be 100 % confident that we have ‘the truth’. But we CAN arrive at a position with a reasonable degree of confidence of its correspondence to reality. As an aside, why can’t any of us be ABSOLUTE certain of anything? Because in this universe we only occupy a position as created beings. We are part of the creation and we don’t stand above it, with a 360 % view (so to speak). Back to the radio show I heard – the illustration used to showcase this method was the argument for the truth of the resurrection of Jesus Christ. This system works for any event, from crimes being tried in court to your teen’s assertion that the car WAS home before midnight. 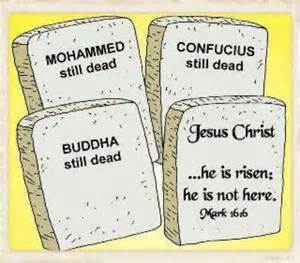 When we look at the historicity of Jesus Christ, there are apparently 4 unattested facts. Atheistic, agnostic and Christian scholars alike agree on these four points because one does not have to point to the Bible or any supernatural cause. A man named Jesus of Nazareth was put to death by crucifixion at the hands of Roman soldiers on the outskirts of Jerusalem. The dead Jesus was put into a tomb that was sealed and guarded. Three days after his death his disciples claimed the tomb was empty and that they encountered the resurrected Jesus and continued to see him for 40 days. Based on that claim/belief, the Christian church exploded into being and grew exponentially. Those are the facts. Now what? What follows next is to open the discussion to competing explanations. All are welcome to hold forth. But…. After you lay out your best scenario that explains all the facts, there is still one crucial piece. 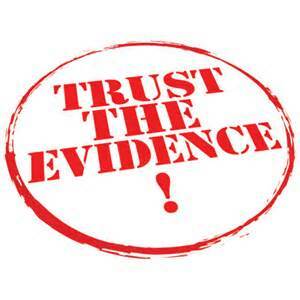 Or one could say THAT….but what does the evidence support? Question: What situation comes to mind that would benefit from this method for getting at the truth of the matter?